Doom remains a classic, and Final Doom is classic Doom. The game consists of two parts: Evilution and the Plutonia Experiment. In the first, you are the lone human survivor of a devastating raid on a Jovian moon base by the forces of Hell. You task is to avenge your fallen comrades. In the second, you are a marine charged with the task of closing one of the gates to Hell before it is used by Hell's minions to launch another invasion of Earth. Only you can stop them, and then, after 32 levels of carnage, do it all over again in the second half. Bliss. What Final Doom does offer is a darker, more ambush-laden environment than its predecessors. 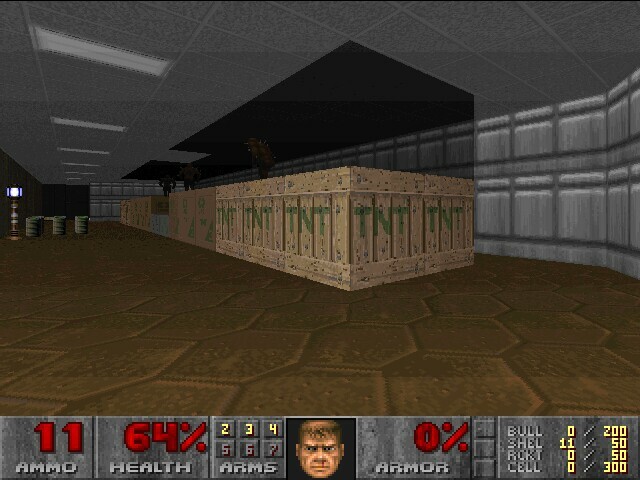 Doom One was all about large open arenas and big rooms. Doom Two took a more labyrinthine approach. Final Doom extends that by filling its twisty, turny corridors with a greater number of deadly monsters - arch viles, cyberdemons, revenants and mancubi. For average or occasional players, this approach sends the game's difficulty level through the roof. 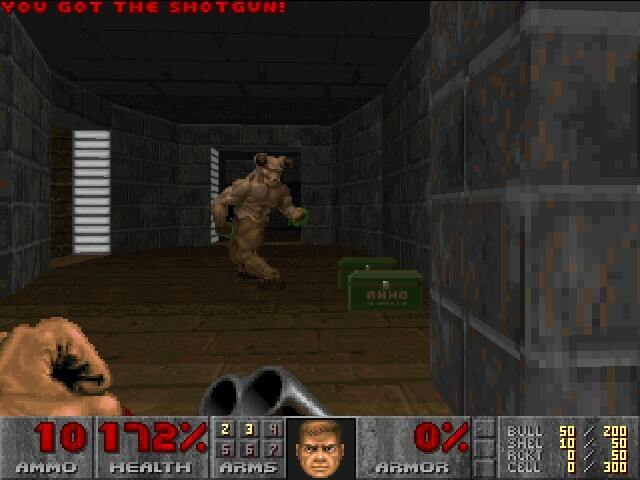 Final Doom has extremely high replay value -- once you defeat the game in the hardest mode, try beating each level starting only with a pistol. And as for the immersion factor, nothing beats Doom. Playing this game at two in the morning with all the lights out is where it's at -- your heart is pounding, your palms are sweaty, and you are primed for surprises. For sheer visceral excitement it's hard to beat, and with its focus on demonic monsters and near-unrelenting action, Doom is as much nightmare as game, enhanced by its techno-pagan environments and graphics.